** spoiler alert ** It was very good. Sooo beautiful. Clean cut, detailed, fairytale dust swirled together with the utter horror of war. It was so well executed. 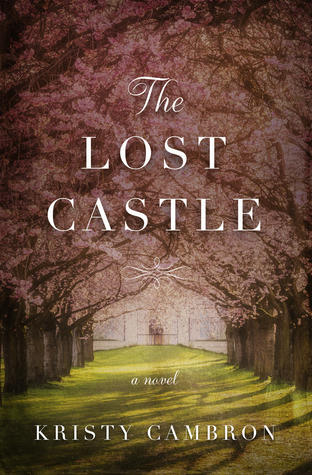 Sign into Goodreads to see if any of your friends have read The Lost Castle. 4.95% ""Ellie sighed, letting go of a breath she hadn't realized she'd held..." wait for it... "captive in her chest since the drive over." And then... HE'S THE DUKES SON?!?" 27.08% "Hah. I'm quite enjoying this I think. As maybe predictable as it seems to be I still like it." 42.97% "Somehow I think that wouldn't have happened... she's betrothed and they are unchaperoned. In that era I don't think nobility would consider crying into another man's shirt no matter how badly they were crying. It's just not accurate. Sorry, Idk why that bothers me but it does. People in these eras were much much more private than is being expressed." 45.05% "Quinn has an Irish accent and whenever I read an Irish accent I always read the character Al from The Epic Order of the Seven. But the personality of Quinn the human and Al the cat are completely different! 😂"
69.79% "I wish they would keep the romance out and the story in. But I'm enjoying and the bit of romance that is here is so sweet and gentle that I can't even decide what I think of it. Is it even romance?" 75.78% "What's that? Oh. My jaw on the floor. Nothing important." 77.08% "Phillipe is a BUTTHEAD and he needs to go back to where he came from. 😡😡😡😡😡😡😡😡"